Howdy, folks. Joining you from the Dallas / Fort Worth Metroplex in Texas! It's been a while since my last entry, but I thought I'd continue with the theme of showing you some former, early 20th-century post offices along with their current counterparts. Here's the first part of this series in case you missed it. When the post office moved out, the building became the town's main library. The children's reading room was in the basement, which I'm sure spooked them a bit. Now it's used as prop and other storage for the arts center. 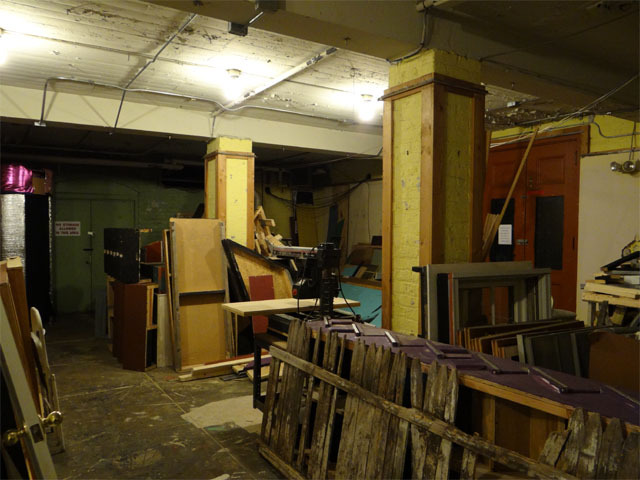 So ladies and gentlemen, something you've always wanted to see -- the basement of an old post office! 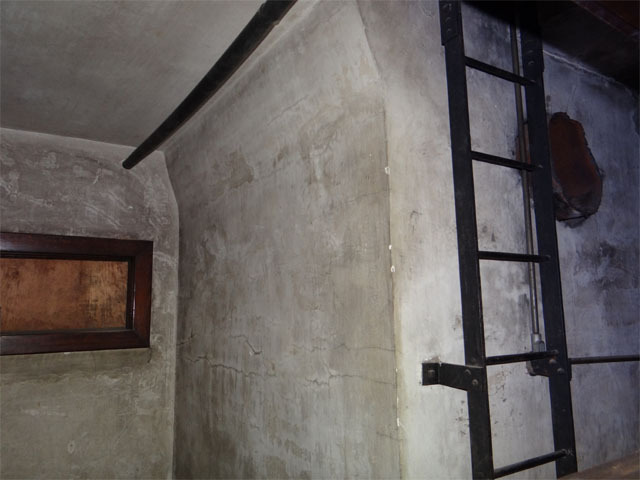 No one could figure out what the ladder leading to the basement from the Postmaster's office was for. Any ideas? The newer Lebanon post office is less glamorous. The newer Pocahontas post office is more on the outskirts of town.